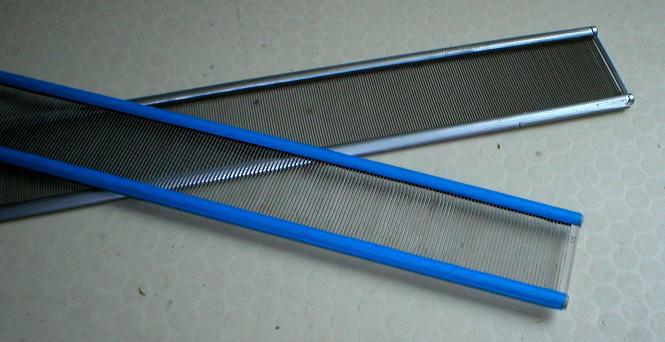 A reed is a metal comb that is mounted in the loom. It keeps the warp threads at equal distances from each other and you can press the weft thread against the former pick. 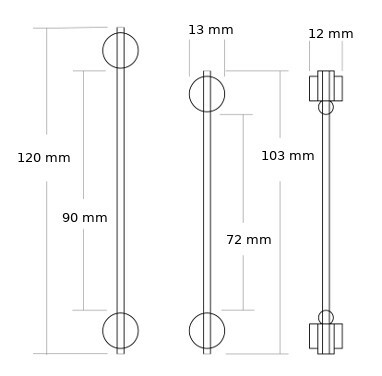 A reed can count 2 to 14 teeth the cm, depending on the number of warp threads the cm you want to mount on your loom. 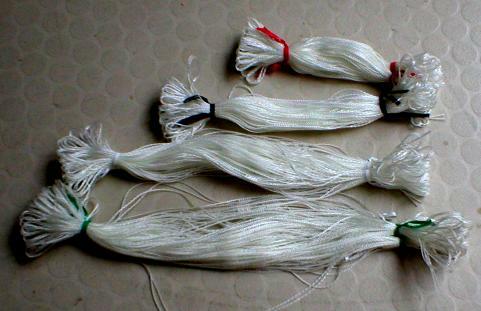 For fabrics with warp-faced effect (the warp threads are very close together and cover the weft threads). It is best that you put two (or more) threads the dent. 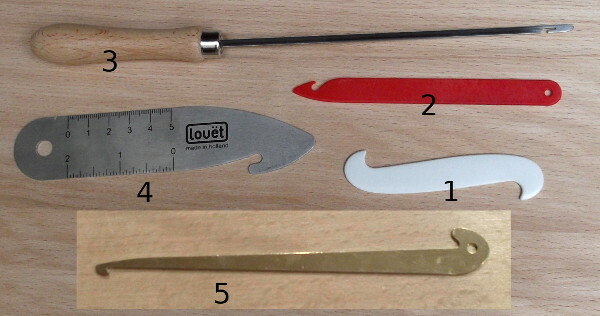 Reeds, 10.5 of 12 cm height, various densities (number of dents the 10 cm) available in all lengths up to 1.6 m.
Reeds are available in common steel and in stainless steel. Because the Swedish supplier do produce no more common reeds, they are available while stocks last. Gradually, reeds in stainless steel will come in stock.